For more than seven years, OPAL Translation have provided NAATI accredited Burmese translation services all over Australia. 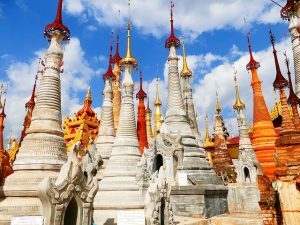 We have translated thousands of Burmese documents for thousands of clients who keep coming back for their translation and telling us how our Burmese translation services have helped them. If you are looking for Burmese translation services for your documents, we can help you. How? We have Burmese translators who are NAATI certified in providing Burmese translation services. They have time and again produced high-quality work that guarantees 100% acceptance rate in all Australian authorities requiring NAATI documents. OPAL Translation has the most competitive rates for Burmese translation services in Australia. Starting at AU $69, you can receive a NAATI certified, and high-quality Burmese translation. Since no two documents are the same, our pricing varies according to the document’s language, turnaround time and subject matter. Send us your document so we can provide you with a detailed estimate for your translation for FREE. You can do so by simply filling in your details in the translation form, uploading a soft copy of your document, then clicking the ‘SUBMIT’ button and you’re done! In just 15 minutes, expect to receive an email containing the translation quote for your document. Need Fast Burmese Translation Services? We have two types of Burmese translation services: Standard Burmese translation services and Urgent Burmese translation services. It takes our translators 2 to 3 working days to finish a document that has less than 3 pages via the Standard Burmese translation services. If you are in a hurry, our Urgent Burmese translation services are your best option. Here, we guarantee that your translation is finished in less than 24 hours without compromising the quality of the translation whatsoever. Let us know which Burmese translation services you want to avail when sending us your document or you can chat with one of our customer support representatives via the Live Chat. Follow these steps in availing our Burmese translation services. Complete the translation quote form found on this page. In less than 15 minutes, we will send you the detailed estimate for your translation through email. Finalize your order via credit cards, PayPal fund transfer or online banking. Upon receiving your payment, we will start with the translation. Once finished, we will email you a draft to let you review and approve it. If you are satisfied with the translation, let us know, and we will send you the final certified soft copy via email. We can also send you a hard copy of your Burmese translation by post, just let us know. And you’re done! It’s easy and fast. 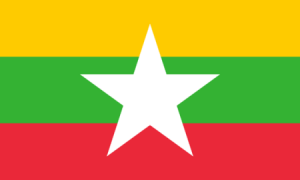 The Burmese language is also called as myanma bhasa or Myanmar language because it is Myanmar’s official language. Currently, there are more than 32 million native speakers of the Burmese language. It is monosyllabic where a lot of the language’s words only have one syllable. The Burmese language belongs to the Sino-Tibetan language family and uses the Brahmic script. The language has a particular sentence structure where verb follows the object, then the subject.